“Woodworking burn out” can happen! At some point we need to step back and do something different. It happens in all aspects of life, with a variety of activities, so it only makes sense it’s going to happen in our hobbies and passions. Personally, I’ve identified a few times throughout the year that it’s almost certainly guaranteed to occur. The beginning and end of summer, and right around the Christmas/New Year holidays. These are times of the year when my focus is anywhere and everywhere else but in the wood shop, and if I’m working on a project at that time, I can assure you I’m completely miserable until it’s completed. In fact, the more I think about it, I also experience a little short-term burn out towards the end of any large project I’m working on. It kind of makes sense if you think about it. Typically the beginning and middle of a project is exciting and new because you’re very active in getting the process underway. Lumber is to be milled, joints are to be cut and eventually assembly is just around the corner. But once it hits the glue-up and finishing stages, I’m still excited to see all my hardwork come together, but frequently it’s starting to feel like “work” instead of relaxation. It’s very counterintuitive really, given that all the milling and joinery work can be so tedious and time-consuming, but I think what makes it a little bit exciting is that you’re kind of uncovering something new. Every new layer of wood revealed by the milling process is turning a rough and dirty board into something beautiful. And everytime you shape the pieces, for the joinery, you’re creating and manipulating the board. You’re creating something unique and different out of something that was rather ordinary. Still, without a doubt, at some point burn out hits us and we find ourselves struggling to get into the shop. Should we force ourselves in at this point? Or is it better to stay away and wait for the muse to draw us back in? I addressed this issue back in 2008 in episode 313 “Downtime Monday”, and while I might not always agree with some of my earlier advice, this still sounds like exactly what I do today. How about you? What’s your way of overcoming or avoiding burnout? Sawdust and gas appliances, an accident waiting to happen? One of the hardest lessons I had to learn when I got into woodworking was that, for me, it is just a hobby, not a job. I don’t have to complete anything, and I’m not punching a clock to put bread on the table. It took a couple of years to come to that understanding, and I spent many nights and weekend burning the candle at both ends before I came to my senses. Still, I experience woodworking burnout every so often … when it happens, I finish whatever I am working on, clean up the shop, turn off the lights and close the door. Sometimes it only takes a day or two before I feel like opening that door again … other times it can take a week or two (or three!). I’ve found that if I don’t take a big step back from something I’m working on and having trouble with, I can end up hating it and not return to working on it for a long time. 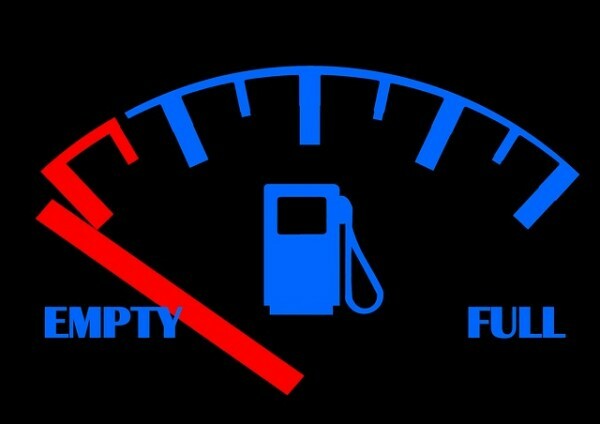 You can only run full steam ahead for so long before you run out of gas. Some people might find it better to set intermediate project goals of stopping after certain tasks to recharge themselves. Small goals are a great way to keep yourself from slamming into the wall and feeling like you’re not getting anywhere. Boy you hit the nail on the head for me with a large dresser project that I was dumb enough to start just as the hot-season started down here in Florida. I have made progress, but at a snails pace. But long enough that if I move this thing around one more time…. Still, there are a lot worse things that could happen. Next year, some of your easy & fast projects during the hot-season. Occasionally I walk into my son’s room, see the bed and get a little angry at it for taking so long LOL. When I get burned out I surf the internet for inspiration, Google images, and of course watch my favorite pod casts. I have too many hobbies so if I burn out on one for a bit I move onto another one (jeeping, chocolate, pilates, kayaking, restoring La Pavoni’s, …). Though hand woodworking is not getting old as fast as machine woodworking :). I use woodworking as a way to help the burn-out from work. Its a hobby for me, so yes I understand burn-out completely. I think you need to do something completely unrelated. Just time away will not help. That’s why me taking PTO doesn’t really seem to help. I need to get out, do something, make some sawdust, etc. I work full time and take ~10 credit hours of school each semester. Talk about fuel for burnout! Woodworking is usually how I cure my burnout from work and school, but that free time is hard to come by. When I start a large project that could be done in a week but takes 4 months, I end up getting woodworking burnout. I’ve also found that I get woodworking burnout right when it’s time to apply finish. It’s hard to find the patience to do a good finish, so a lot of my projects end up sitting on a shelf unfinished, good enough to show the idea but not good enough to sell. I suppose for hobbyists it’s easier to deal with this just by taking a few days off. But if you’re on a deadline for any sort of production (be it an actual project or video content), then I can see where this would be a bigger issue. For me, my issue has always been almost the opposite – getting back into woodworking after an extended hiatus, which is usually what happens to me over the summer. We do a lot of boating and other stuff during the nice weather, so I get very little “project” time. Now that the kids are in school, I *should* have some more time at least a few days a week, depending how how much I need to be Mr. Homework Helper, but I need to get back in the groove. So far I’m following my normal “routine” to get back into it – some shop cleaning from all the crap that’s landed there over the summer, and then a few organization projects, and eventually I’ll start something new. I hear you there! This is pretty much where I am at the moment also. « “Your Brain on Matt’s Basement Workshop” t-shirt sale!